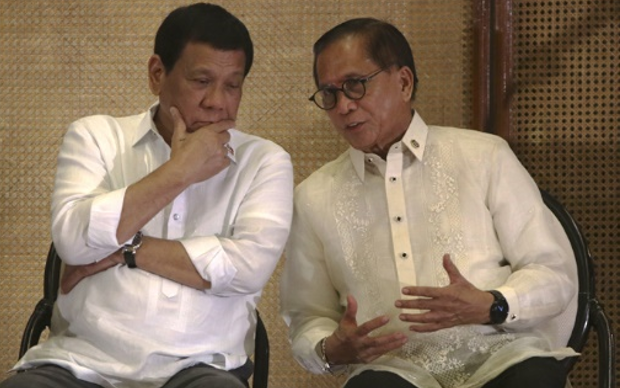 Presidential Adviser on the Peace Process Jesus Dureza, a high school classmate of President Rodrigo Duterte render his resignation letter after two of his top officials in the office has been fired due to corruption. During Duterte's speech Tuesday night at the inauguration of the Bohol-Panglao International Airport, he said that he was very sad that he accepted the resignation of Secretary Dureza. I fired his Undersecretary and Assistant Secretary and I'm still going to fire another one (maybe) tomorrow. Ronald Flores, the Undersecretary for Support Services and National Program Manager of the Payapa at Masaganang Pamayanan or PAMANA, the is national government’s convergence program that extends development interventions to isolated, hard-to-reach and conflict-affected communities. Yeshter Donn Baccay is Assistant Secretary for Support Services and PAMANA Concerns. “Tapos na tayo nag-usap diyan. Sinabi ko ganun, ganun talaga ang… Well, in fairness to Secretary Dureza wala man siyang ano — maybe because he’s the head of office. Pero itong dalawa, nagkalat itong — p****** i*** ‘to,” Duterte said. 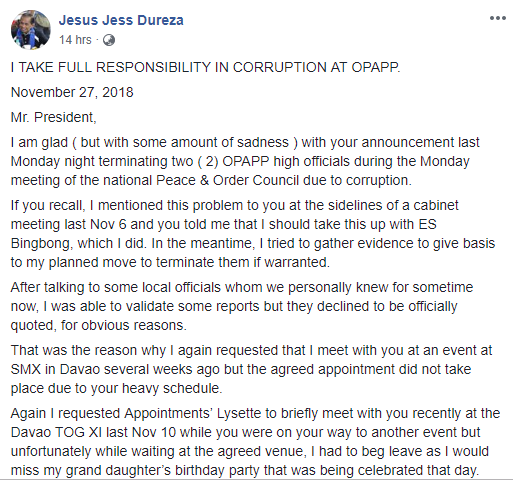 Dureza who handed the resignation to Duterte said, he take full responsibility in the corruption at OPAPP. 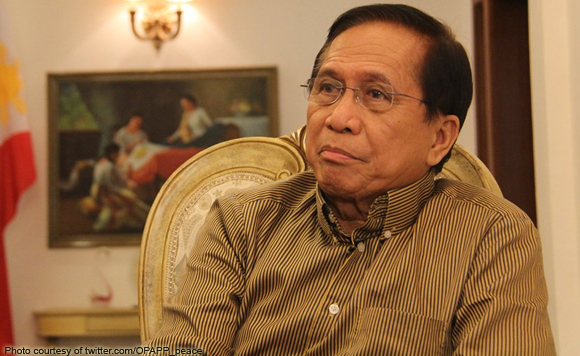 In his post in Facebook, Dureza said he was glad that Duterte terminated two of his officials since he plans to terminate his people but still gathering evidence. He said in the letter that he was a little bit sad, because he failed to fight corruption in his office. Dureza ended his letter by thanking Duterte in giving him the opportunity in being the Presidential Peace Adviser under his administration. "TAKE FULL RESPONSIBILITY IN CORRUPTION AT OPAPP. I am glad ( but with some amount of sadness ) with your announcement last Monday night terminating two ( 2) OPAPP high officials during the Monday meeting of the national Peace & Order Council due to corruption. If you recall, I mentioned this problem to you at the sidelines of a cabinet meeting last Nov 6 and you told me that I should take this up with ES Bingbong, which I did. In the meantime, I tried to gather evidence to give basis to my planned move to terminate them if warranted. After talking to some local officials whom we personally knew for sometime now, I was able to validate some reports but they declined to be officially quoted, for obvious reasons. That was the reason why I again requested that I meet with you at an event at SMX in Davao several weeks ago but the agreed appointment did not take place due to your heavy schedule. Again I requested Appointments’ Lysette to briefly meet with you recently at the Davao TOG XI last Nov 10 while you were on your way to another event but unfortunately while waiting at the agreed venue, I had to beg leave as I would miss my grand daughter’s birthday party that was being celebrated that day. I am sad because despite my efforts to be compliant with your strong advocacy against corruption, I failed. I had left the internal functions to my other OPAPP appropriate officials while I concentrated my attention on the big task of dealing with challenges of peace. I even installed an internal Ombudsman with an outside lawyer to help validate and gather evidence due to persistent rumors about corruption. I even took efforts to publicly warn the public through the social and mainstream media against corruption in the implementation of PAMANA projects and requested information with assurances of confidentially of the source. I truly am sad that OPAPP , as an institution which I head, had to suffer publicly due to the acts of a few. Nonetheless, I take full responsibility and apologise for all this. I am voluntarily tendering my resignation to pave the way for the needed reorganisation that Your Excellency may wish to undertake at OPAPP. May I thank you for the rare privilege and opportunity of being the Presidential Peace Adviser under Your Excellency’s watch.